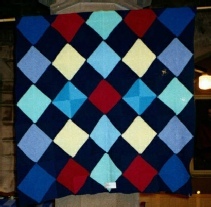 It all began at Manchester City Football Ground - Maine Road. 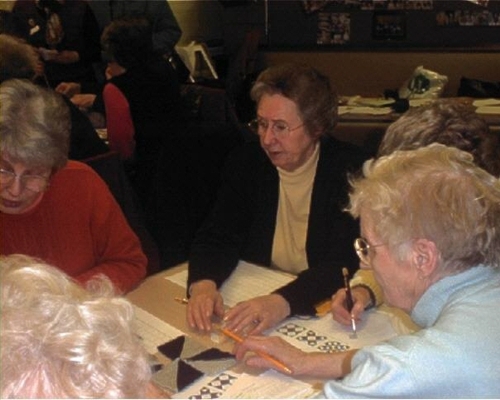 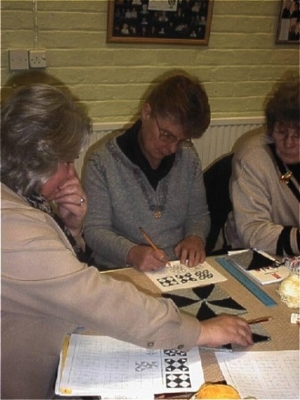 An invitation had arrived at Cheshire WI Headquarters to a Maths Festival at the football ground to celebrate "Maths Year 2000". 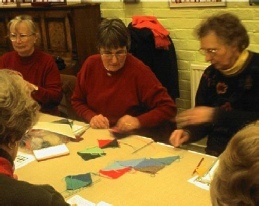 It sounded so interesting that our Federation Education Coordinator, Sheila Gregory, and Federation Science Coordinator, Sue Roberts, arranged to go along to see if there would be anything there, in the way of ideas for interesting mathematical activities or events, that the WI could use. We are always looking for new and interesting things for members to enjoy. 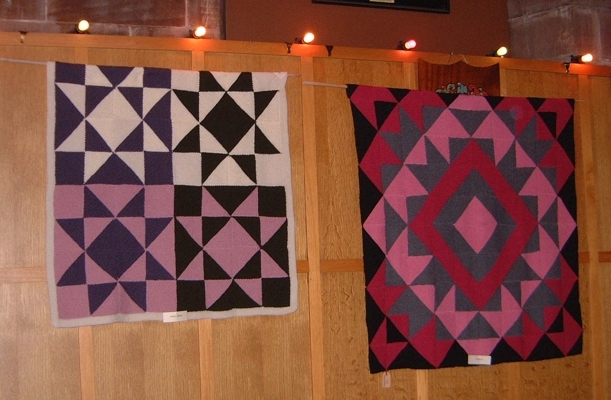 We found Pat Ashforth, who, with her partner Steve Plummer, masterminded all these beautiful creations, and we chatted with her about the possibilities of doing these with WIs. 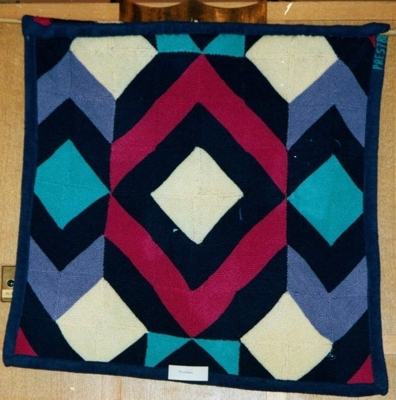 When we arrived in the grandstand, our attention was immediately caught by a series of stunning, mathematically patterned wall hangings in eyecatching colours which, on closer inspection, turned out to be knitted. 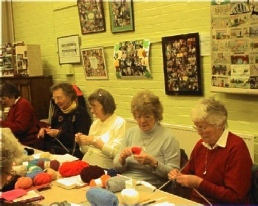 Our first thought was of our members and what fun we could have making such things in groups in our WIs. 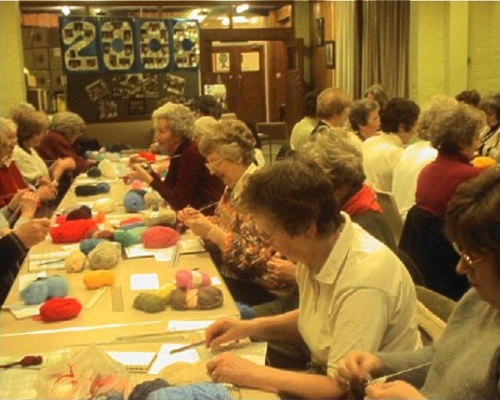 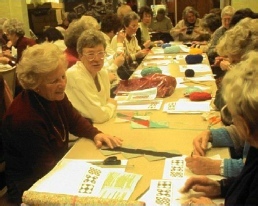 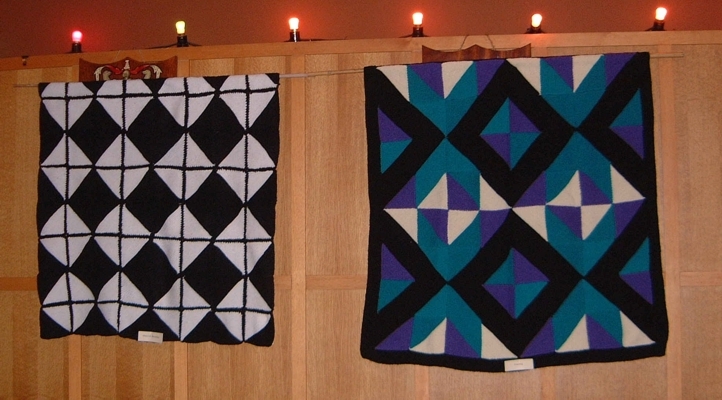 It was such an original idea - a combination of mathematics and knitting. 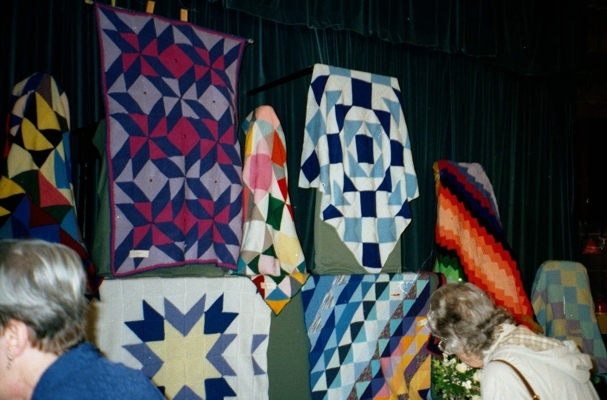 At this time, in the Federation, we were discussing the schedule for the new Cheshire Show and we knew that members would appreciate a section in the Show which was non competitive - exhibition only. 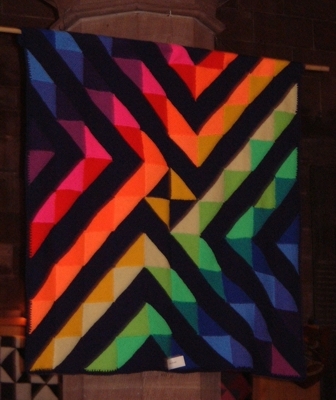 This seemed a perfect combination of ideas - a group project with an eyecatching outcome which could be exhibited at the Cheshire Show. 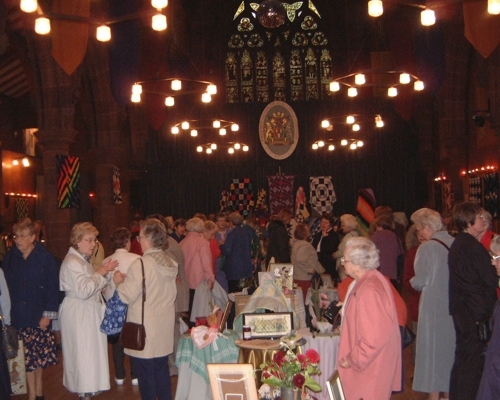 Something everyone could join in including the members who had never before exhibited at the Cheshire Show. 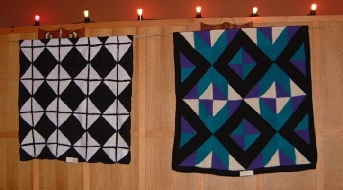 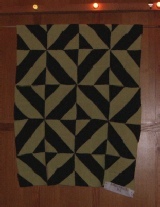 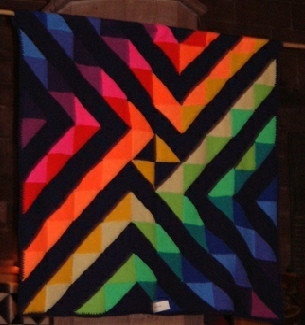 stunning, eyecatching designs based on the very simple idea of a square knitted in 2 colours - one dark and one light. The mathematical skill is in the combining of the squares to create the design. 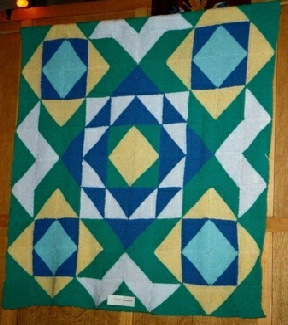 It is difficult to believe that all the afghans shown above were created from one basic idea. Each small regional group of the Cheshire Women’s Institute sent a delegate to one of several half-day sessions to learn the method. The delegates then returned to their own groups to pass on what they had learned. 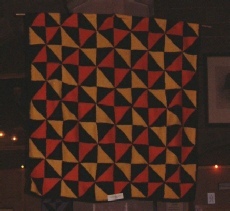 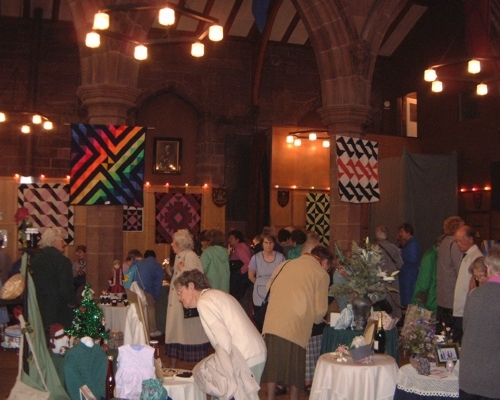 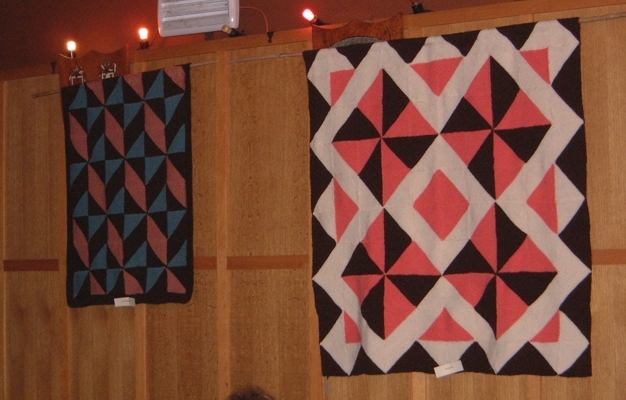 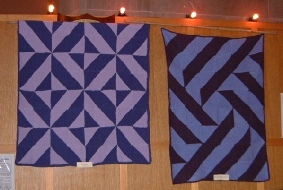 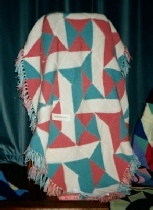 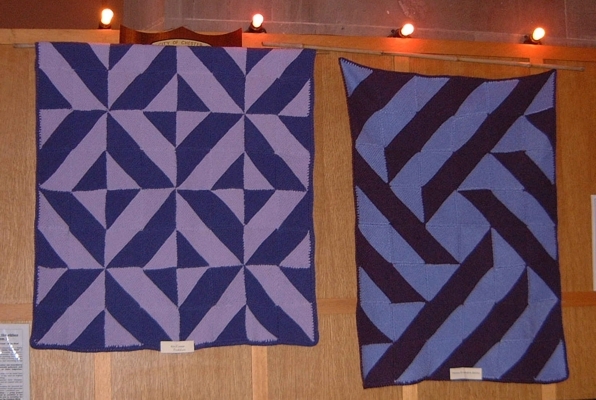 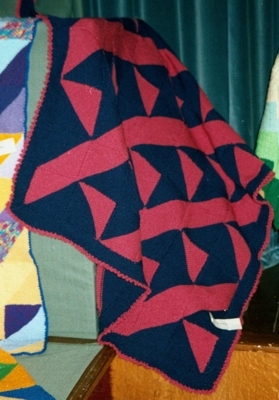 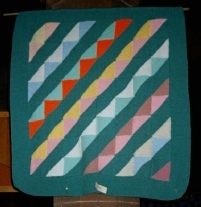 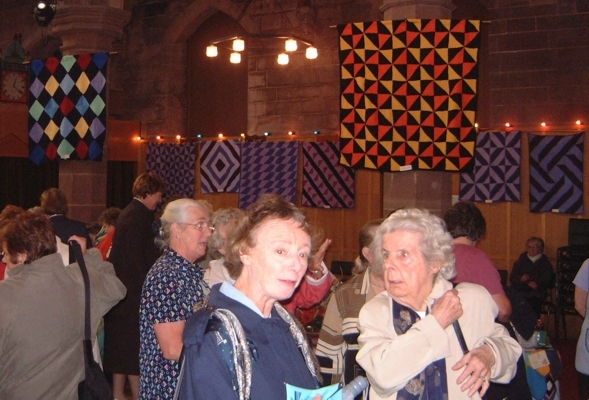 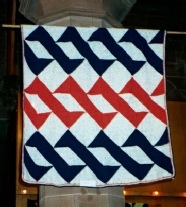 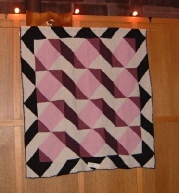 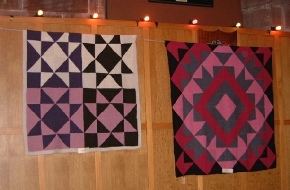 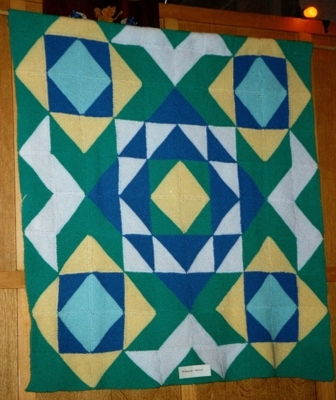 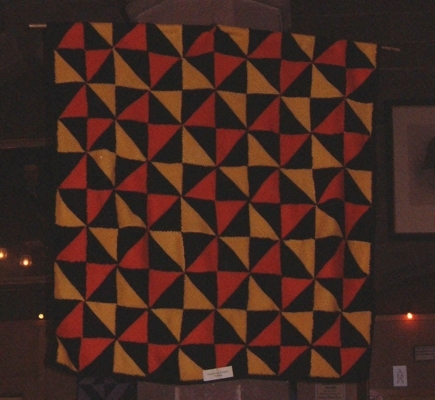 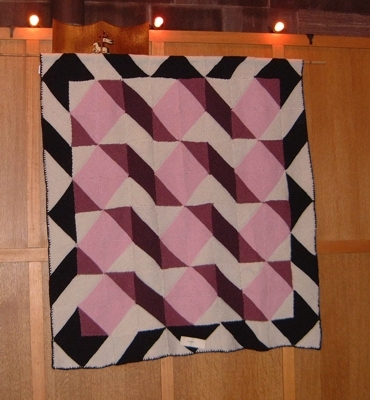 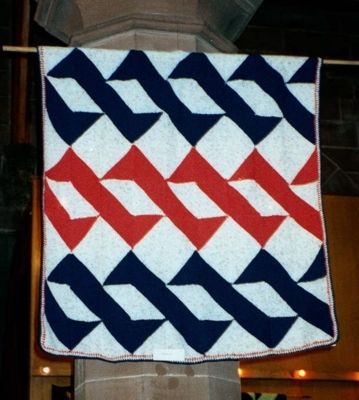 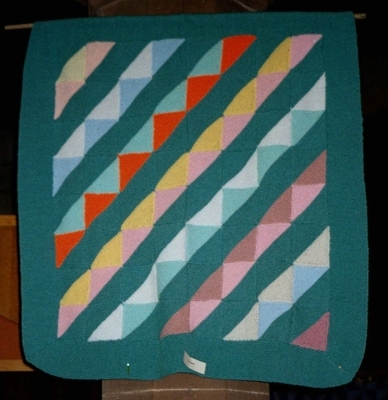 Over 60 groups each produced an afghan of their own design. 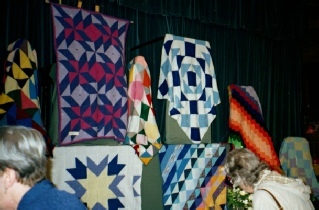 The original plan was to display the finished afghans at the County Show. 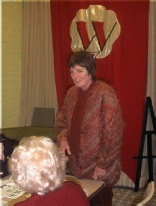 Unfortunately, there was an outbreak of Foot and Mouth disease that year and the show was cancelled. The exhibition was rescheduled at Chester Guildhall, where we were greeted by Chester’s Town Crier. It was a magnificent setting for the afghans. 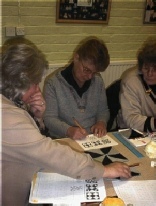 These photos show Pat at one of the half-day sessions.